 Hill Creek Farms is glad to announce it has partnered with Rastelli Market Fresh to bring our guests the best of two worlds. The Sorbello family, a fourth-generation grower of apples, peaches, and vegetables, has combined forces with the Rastelli family, a fourth-generation local food-service and culinary giant. This home-grown dynamic duo now offers you South Jersey’s most exciting experience in prepared foods, ready-to-eat meals, and world-class farm-to-table dining. Hill Creek Farms works with Rastelli’s on-site chefs in growing our own 50+ vegetables, allowing the vegetables to mature to peak flavor and peak color for an eating experience that you will not get anywhere else. With all our food grown, prepared, and served here, freshness has never been so defined other than growing it yourself and preparing it in your own home kitchen. The Sorbellos and Rastellis understand that many of you do not have the time to grow and cook your own food so we are happy to share our bounty with you! Come down to Hill Creek Farms any day to take it all in: the variety, aromas, freshness, and open farm-market feel. 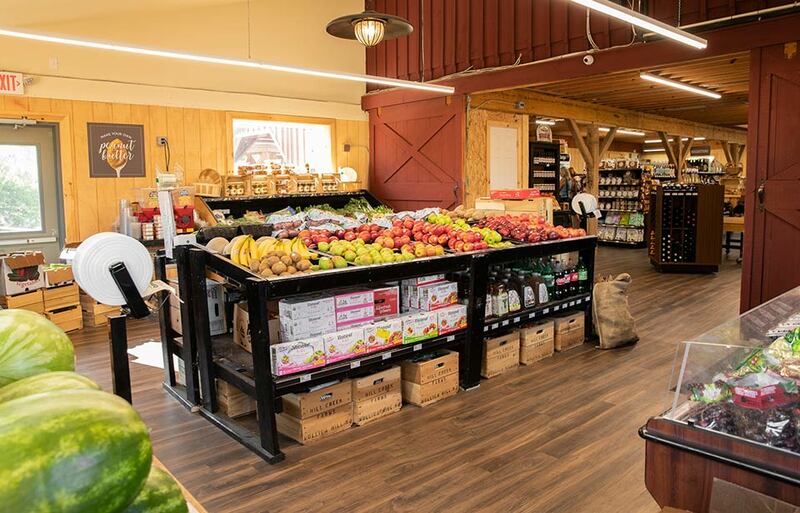 This isn’t your typical farm market: it’s a food lovers’ haven packed with farm-fresh products and all the essentials that you and your family need, meticulously prepared by people who care as much about your food as you do! 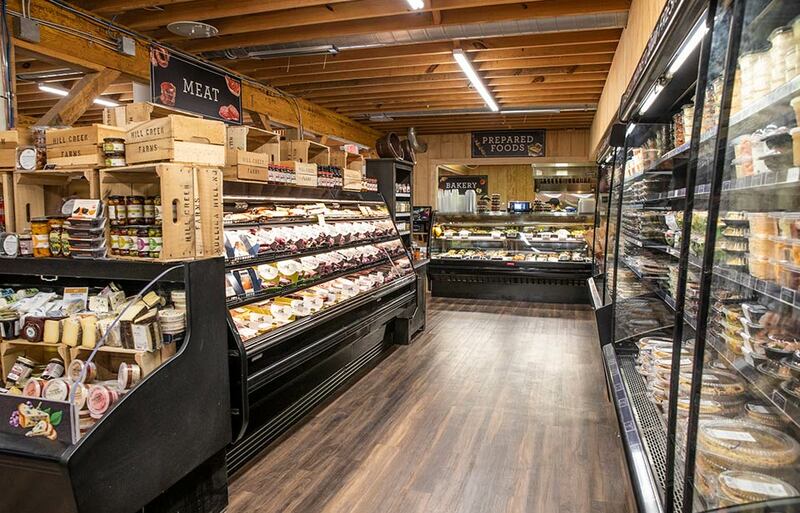 From meat and seafood to local produce and delicious baked goods, the farm market at Hill Creek Farms managed by Rastelli Market Fresh has got you covered! Stay a while and eat in at the Loft Café or in one of the scenic outdoor seating areas: Pond View Patio or the Orchard View BBQ area. From our kiosks, enjoy breakfast, lunch, and dinner made just for you by a team of seasoned Rastelli Market Fresh chefs. From smoked BBQ sandwiches and fresh burgers to omelets, cheese plates, and more, there is something for everyone! And by the way, we still have those great cider donuts, hayrides, our produce department, and playground experiences for your whole family to enjoy. As a family-owned and operated business that started as a butcher shop more than 40 years ago, Rastelli knows meat. We also know, with fewer traditional butcher shops around today, how hard it is to find great-tasting meat you can feel good about feeding your family. Whether it’s beef, chicken, bison, pork, lamb or veal, we believe great meat starts with knowing where it comes from. There is a world of difference in taste, safety, and quality between Rastelli meat and the mass-produced meats that you find widely available on traditional supermarket shelves. That’s because at Rastelli, we control the entire process and manage all of the steps necessary to provide premium meats from our farms to your family. Here at Rastelli, we work side-by-side with select farmers who produce and farm exclusively for us, raising all of our cattle to our strict standards, ensuring humane treatment, farm-to-family traceability, and uncompromising taste and quality. All of our meats are hand-trimmed and perfectly portioned by our trained butchers at our state-of-the-art USDA-certified facility. You will never find any additives or preservatives in our products, so all you get is pure, delicious meat. Just one bite and you’re sure to taste the Rastelli difference! Rastelli may have started out as butchers, but with over four decades in the food business we also know seafood—what’s good to eat, what’s good for the environment, and what you can feel good about serving at your table. We work closely with select responsible fisheries—both local and international—to provide wild-caught and sustainable seafood that adheres to our strict standards, ensuring humane treatment, fishery-to-family traceability, and uncompromising taste and quality. Our wild-caught seafood is caught in its natural environment by fishermen, while our sustainable seafood, such as our Faroe Island salmon, is raised by eco-friendly fisheries in pens with free-flowing water in its natural environment and fed an all-natural diet. And all of our sustainable seafood has the distinction of being Best Aquacultural Practices (BAP) certified. With a culinary team constantly cooking up fresh eats, our prepared foods are like having your own personal chef. Featuring restaurant-quality prepared main dishes and sides, grab-and-go delights in individual and family-sized servings, daily soups, and hot lunch and dinner selections, our Rastelli Market chefs are at your service. Our Java and Juice options are just what you need to kick-start your morning or keep your energy going! Coming from a beverage bar with specialty coffee drinks, fresh roasted coffee and smoothies and juices made from the freshest farm produce, our drinks are sure to impress. Our specialty grocery items include products you already know and love and products you soon will! Our eclectic selection has everything from artisan olive oils and pasta sauce to farm-fresh snacks and jams. Our team are experts in sourcing and choosing the finest selection of handcrafted cheeses from around the globe for you! Sit back and relax with us! Grab a bite to eat and enjoy our coffee, smoothies, and juices featuring fresh fruits and vegetables from the farm! Take in the views of our beautiful apple orchard while enjoying traditional applewood-smoked BBQ! Pair our farm-fresh food with Auburn Road Wines and enjoy the countryside! 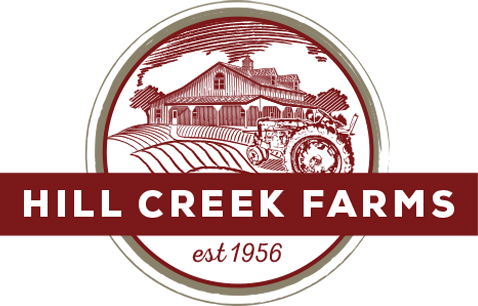 Hill Creek Farms is on State Highway 45, nestled in the South Jersey countryside just southwest of the romantic antiques mecca of Mullica Hill, NJ. Stop by soon to savor the goods of our own Rastelli Market Fresh store for yourself!